A cube panoramic? Plus a wall mount facial camera? 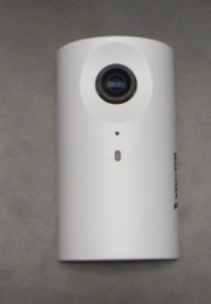 That's what Vivotek is proposing with its recent CC8130 camera. That's certainly different from the legion of ceiling mounted minidomes that have become the industry norm (see our panoramic shootout results). In this report, we share our test findings of Vivotek's CC8130 to see how it matches up. We did a shootout against 2 other panoramic cameras (another Vivotek and the new Brickcom Immervision one), the super wide angle 3MP Axis M30, as well as an ACTi conventional cube camera to get a full range of realistic alternatives. The image sample below shows one test environment we used. In addition, we tested a WDR scene, as well as multiple camera mounting heights and bandwidth analysis. * **** *********? **** * **** ***** ****** ******? ****'* what ******* ** ********* **** *** ************ ******. ****'* ********* ********* **** *** ****** ** ******* ******* ********* that **** ****** *** ******** **** (*** ************ ******** *******). ** **** ******, ** ***** *** **** ******** ** *******'* CC8130 ** *** *** ** ******* **.  ** *** * shootout ******* * ***** ********* ******* (******* ******* *** *** new******************* ***), ******** **** ***** *** **** ***, ** **** ** ** **** ************ **** ****** ** get * **** ***** ** ********* ************. *** ***** ****** ***** ***** *** **** *********** ** ****. ** ********, ** ****** * *** *****, ** **** ** multiple ****** ******** ******* *** ********* ********. ** **** ***** (~*** ***) *** ~** *** ******, *** CC8130 ** **** ** ******* ******** ******* **** ** **** tone, **** *****, *****, *** ******** ** ***** ~*' ****. Beyond ****, ******* ******* ****. *** ***** (~****) ***** ******* ** **** ** ***** *****, with ******* *** **** ***** ******* *******, *** ******** **** quickly. ***** * ***, ** ****** ****** **** ********. *** ****** ****** *** ** ******* ****** **** ~*' (** ~*' **** *** ******** 15° ****** *****) ** ****** ******* *** ** ****. *** **** information ********* ******** ******, ****** *** ******* ****** ****** **. ***** ******* ******. *** ****** ******** ** ***, *****. ** ********* ********* ** VBR ("***** *******", ** ***** ** *******'* *** *********) *** directly ******* ************ ***** ********** *** ** ********* *** *** ******** *****. ** ****** ****** **** ******* ********, ******** *** ********* ************* improved ***** *******. ** ****** ******, * *********** **** ** *** ***** ** wasted ** *** *******. ***** *** ****** **** *** ******* cropping, * ******* **** *** ************* ****** ********* ******** / wasted ** **** ****. *** ******'************* *** ******* ******** **** ****** **** ***/*** ******* **. *** ****** ** ************* ******* **** ******** *** ********* *** roughly ***** ** **** **** **** ******. ***** *** ****,*** *********, ******** ** * **** ****, *** ***** **** *** low *****, **************** ** ** *********** ***** ******, ** ** *********** ** traditional ******** *** ******* *** ******* ******** ****. *** ****** ** *** *********** *** ******** **** ***** ***** identifying ******* *** ******** ****** *-*'. *******, ****** ********** **** angle ** ********* ******* ** ******* ***** ******. ****, *** ****** ** *** *********** *** ******** ** *********** surveillance ****** ****** ** **', **', ***. ******* ******** *** ****** *********** ** ***** ** ***** ******* and ********* *******. ******** ***** ******** *** ****** *********** ** terms ** ********* *** **** ******** ****** ******* *** ******* savings. ** **** ******** * ******** **** ********** ***** **** ****** of *** ******* ****** ** ********* ****** *** ********, **** as *** ********** **** *** ********* ******. (**. *** ********):******* ****** *******. ******** **** ** ********* ******* *** **** **** *******. ******** **** ***** ********* *** **'* ***********. ********** *** *********, **** ***** ******* **** ******* ******* ********* cameras. *** ** ******* ** ******* ** *****, ******* ********** *********** and ******** ***** *******. ***** *** ******** *** ************ ***** **** ***** *** ****, not ******** *****. ** * ****, *** ****** ******** **** ******** ** *** other ***° ********* *******. ***** *-* *** ***************, ** **** as **** ****, **** *****, ****** ********** *** ********. ** ** ****, ******* *** ******* ***** ** ********, *** our ******* *** ***** ** **********, *** **** * ** the ***** ** ***** ********. ** ** ****, *** ******'* ******* ******** *******, ************ ***** its *** **********, ***** **** ***** ******* ** **** ****. It ******* ********* ** ******** *** ******* *** **** **** one ** *** ***** ** **** *****. ** * **** ** *** ******** (~** ***), *** ***** in *** ****** ******** ******* ******* ** **** *****. ** ** ****, *** ***** ** *** ****** ** **** to ****, **** **** **** * *******. *** ******* ******'* image ****** ** ****** ** **** *****, *** ******* *** still ***************. ** ** ****, *** ******* ******* ****** ********* ** *******. The **** *** *** **** ***** ******* **** ** **** scene, ***** ******** *** **************** ******* ****** ** ****. ** * **** ** *** ***** (~* ***), *** ****** has ******* ***** **************, ******** ** ** *** *** ******** **** *** *** first *** ***** ** *** *** ***** *******. *** ******** **-***** and ******* ****** ****** **** ****** ***** ****************** ***** ** **** ** *********** ******* ** ****** *** subject ** *** *****. ** ** ****, ********* *** ***** ************** ******** *** *** *******, *** *** **** *** ** unable ** ****** *** **** *******, *** *** **** **** our *** *****, *** *** "*" ** *** *****. ** ** **** ** ~* ***, **** ********* ** ********. We ****** *** *** **** ******* ** *** **** ***, and *************-***** ** ******* ******** **************** *****. ***** *** ********** ****** **** *** ****** ** *** ***, to **** ***********/*********** ***** *******. ** *** **** ***** **********, *** ******* ** much ******** **** *** ****** **, *** ** *** ******* of *** ****** ********** ** *** *** ***** ** ****** washed-out. ** * ~* *** *****, *** ****** ** ** ****** distinguish *** *******, *** *** ***** *** ***** ** *** eye ***** *** **** **** ******* *** *****. *** ***** also ******* ******** *** **** ***** **** *** **. *** ***** ***** ** **** ** ******* * ******** **** at * ******* ***** ** * **** ****** **** ***-**** scenario *** *** ******. ** *** ***** (~***), *** *******, which ** ~*** **** **** *** ******, *** ** ****** identified, *** ***** ** ** ***** ******* *** *** **° downwards ****. ******** ** ********* ** ***** ****** *** ** the ****** ** ******* ***** ***** ******** ** *** ****** in *** **-**** *****, ** ******** ** *** ****** ******. ** **** *****, *** ****** ** ******* ~*** ****,*** *** ******* ** ~*** ****. *** **** ********** **** would ** *** ****** ** **** *** ******* ***** ****** on-camera ** ** ****** ******* **. *** ****** ** *** subject, *******, ******* ********* ** **** ********, ********** ******. ** *** ***** *****, *** **** ******* ** ~*-* **** away **** *** ******, ***** ** ******* ** ******* ****** with *** **° ********* ****. *** **** ***** **** ** that *********** ** ********* *** ************** ** *** ********, ***** we **** *** *** *** ** *** *******'* ****, ***** with *** ****** ******* ***** ****** ** ~*/* ** *** FOV. **** ** *********** *** *** ***** ****** ** "*** more" ******** ** * ***** ** ****, ******** **** ******** the ****** ****** **** ****** *** ******* ** ******* ******* in ********** ** * ******* *****. ***** *** ****** ** *** **** ******* ******** * ********, swiping *** **** *** *****, *** ***** ** ***** *** vestibule. ** **** ******** * **** ** **** ********** ** demonstrate * ***-**** ********. *** ****** ** ******* ** ~******* ** ********* ****. ** **** *****, *** ******* ****** *** ***** **** *** outside. **** **** *** **, ** *** ******* *** **** he ** *******, *** ***** ** *** *****, ****, *** pants, *** *****. ** **** *****, *** ******* ** ~******* **** *** ****** **** ** ****** *** ***** *** entry. ****, ** *** *** *** **** ******* ** ******* detail, **** ** * *** *****. ** **** *****, ** *** *** ******* ***** ** ***** the ********* ** ***** *** ********. ** ***** ********** ****** ****** ** ******** **** *** ********, *** ****** would ** **** ** ****** ** ********* ****. ***** ** * **** ** **** ********** ***** ********** *** three ***** ******. *** ****** ******** ** ***** ***, ********** *** ** ******* ** ***, ** "***** *******" ** the *** *********. ***** *** **** ******* ******* ******* ****** or *** * ********** ************ *****, *** *** * ******* cap. *** ** *** ***° ***, ***** ******* ** ****** ***** (such ** ******** ********) ** ****** **** **** ******* *********, and ***** *** ***** ******** ****** ********* ****** ***** ** *** ***** *** **** ~**-**% on ********* *** *******. ******** ** *** ********* *** **** camera. Is it just me or did the lowest priced Acti D11 appear to have the cleanest image under normal lighting conditions of all the models tested? The ACTi was chosen due to its similar size and price point to the Vivotek panoramic cube to show the tradeoff with a traditional cube.